RON HOMANis the CEO, founding principal and majority shareholder of Homan & Stone. Mr. Homan received his B.A. from University of California, Berkeley and his J.D. from Santa Barbara College of Law. He was admitted to the State bar of California in 1991. He is a member of the U. S. District Court for the Southern, Eastern and Northern Districts and the U.S. Court of Appeals for the Ninth District. His professional memberships also include the Defense Research Institute Europe, California Employment Lawyers Association, the American Bar Association, the Federation of Defense and Corporate Counsel, the American Trial Lawyers Association and the Million Dollar Advocates Forum. He has been a guest lecturer to Fortune 500 companies for more than 20 years. Prior to entering the practice of law in 1991, he had a varied background both professionally and as a Shore Patrol in the U.S. Coast Guard. Mr. Homan has been a restaurant waiter/manager, law school librarian, construction trades person, airline baggage handler and a member of several civic groups. 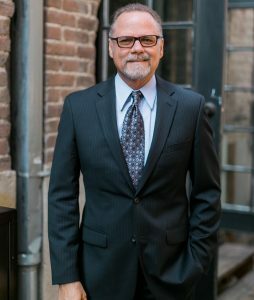 Mr. Homan’s diverse background has served him well in litigating a broad range of matters, including business and commercial litigation, employment and labor matters, fire litigation, construction law, wrongful death, restaurant/hotel litigation, products liability, premises liability, trucking and insurance law, including special investigation unit litigation. He has tried many complex and unusual cases to verdict and has also concluded hundreds of arbitrations, both binding and non-binding.